The Centre for Media and Communications Law (CMCL) is a centre for the research, discussion and teaching of all aspects of media and communications law and policy. We have a team of Directors from the Melbourne Law School. We work with a number of Associates from the Melbourne Law School as well as external research partners. We are assisted by an Advisory Committee from the media and communications industries and legal practice. The Media & Arts Law Review is a quarterly, refereed journal examining all areas of media and arts law. The CMCL runs a series of seminars, conferences, workshops and roundtables throughout the year. For an overview of our event history follow the link below. There are two main avenues for research visitors to the CMCL: through teaching in the specialist teaching program in the Melbourne Law Masters, or taking part in the Visiting Scholar Program. The CMCL welcomes proposals from academics and practitioners in all areas of media and communications law and policy, including interdisciplinary work drawing on a wide range of social and cultural research. CMCL Annual Reports and IPRIA Annual Reports provide details about the many achievements, events and research activities undertaken at the Centre and Institute. The CMCL Medal: New Voices in Media Law Competition is an initiative of the CMCL to seek succinct, innovative analyses of contemporary issues in media law. The competition is open to final year JD and LLB students in Australia and New Zealand, and those who graduated in the last five years and currently reside in Australia or New Zealand. The CMCL strives to continuously engage in innovative and important research projects that relate to media and communications law both nationally and internationally. Members of CMCL have been awarded research grants, contribute to publications relating to media and communications law and present this research at conferences and seminars. CMCL and IPRIA has been generously supported by our Research Partners. Staff associated with CMCL are involved in a number of major research projects. The CMCL is an active research centre that produces significant publications. CMCL and IPRIA staff, and faculty members associated with the centre and institute, teach in the degree programs of Melbourne Law School and supervise research students. The Melbourne JD is taught over six semesters under the standard three-year structure, with options for flexible study (subject to approval by the Law School). The curriculum is designed specifically for graduate students, with opportunities to study new and emerging areas of law in a range of specialised topics. The JD comprises 24 subjects, of which 16 are compulsory. The Melbourne Law Masters is a graduate law program of the highest quality that is available for both law and selected non-law graduates. The specialisation in communications law was developed to provide students with an advanced understanding of the existing and developing law affecting the media and communication industries and its impact on the publication of information, ownership, services and technology. Attuned to the rapid and evolving development of communications technologies, the program provides a valuable insight into this vibrant area of law. 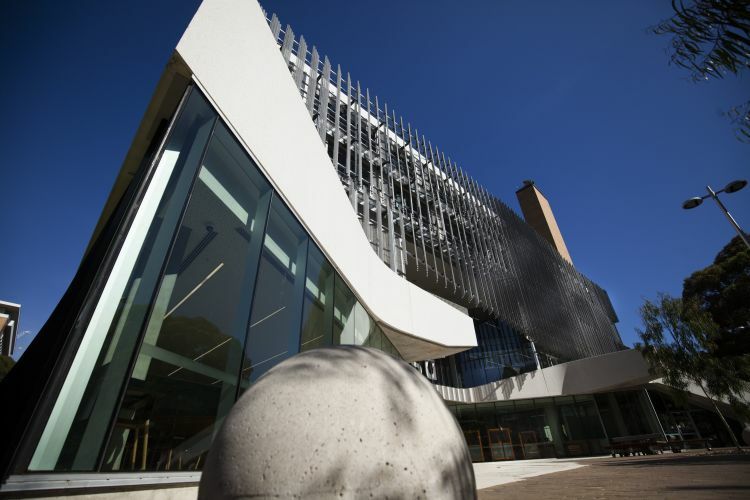 Melbourne Law School has a high level of expertise in communications law, as well as a dedicated research centre, the Centre for Media and Communications Law, which is a useful resource for students. The CMCL welcomes students interested in undertaking a research in a range of legal areas, including media, communications, intellectual property, journalism, contempt, privacy, art and law, and law and economics. The CMCL may be available to supervise sociological, doctrinal, law and economics, theoretical and empirical research papers. If you are interested in undertaking a Research Higher Degree with the CMCL, please contact us to discuss your proposal. A brief history of centre events.